Here is my single board computer collection as of February 8, 2019. I love these devices because I am a vintage computer collector who is always on the lookout for vintage computer learning tools and these were mainly used for learning about the computer central processing units and their related chipsets so that they could be eventually used in industrial and commercial applications. 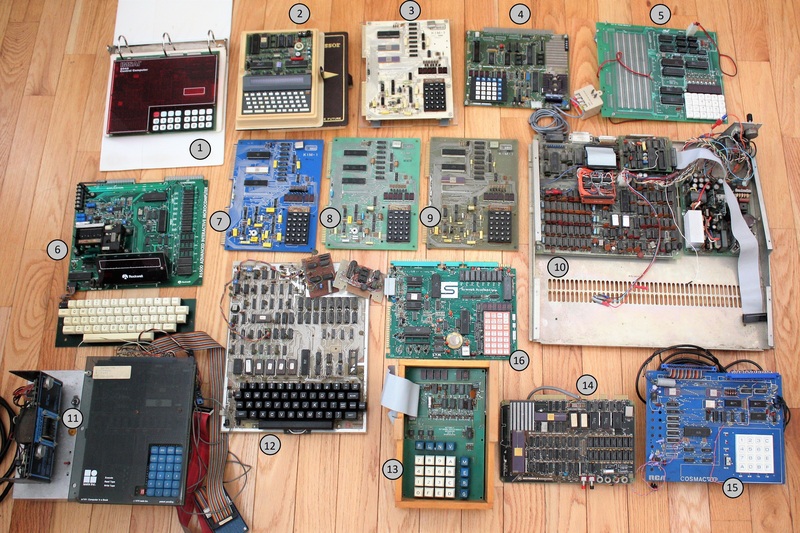 What also happened is that these boards were acquired and used by computer hobbyists at the time. One of the more popular single board computers was the KIM-1 originally made by MOS Technologies and later on Commodore who acquired MOS. It was quite popular and one can find various revisions. I happen to have four revisions but hope to find the rest. Here is a picture of my collection. Below is a legend of what they are. Next story DTC 300/S board. Excited to put an MCS-4 chipset to some use.